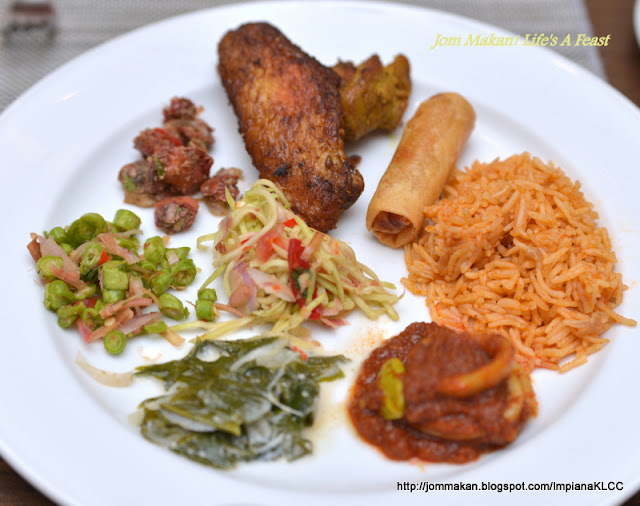 Ayam Percik is one of my fave finds from The Living Room's Juadah Iftar spread this year. Suffused with bright turmeric flavour, the moist, slightly smoky meat tastes even better with an accompanying spicy and creamy sauce. Also included in the indulgent spread for the breaking of fast are delicious multi-racial dishes such as the Indian Muslim speciality of Nasi Kandar. Get the chef to mix the different types of curry gravy for you - I only sampled the Daging Kandar, a 'dry' beef curry redolent with heady ground spices but it was enough to make a lasting impression. Humble but chockful of satisfying flavours is the kampung evergreen of Sayur Lodeh - our local version of ratatouille which has chopped cabbage, carrot, long beans, beancurd sticks (fu chuk) and glass noodles cooked in coconut milk, turmeric and other spices. 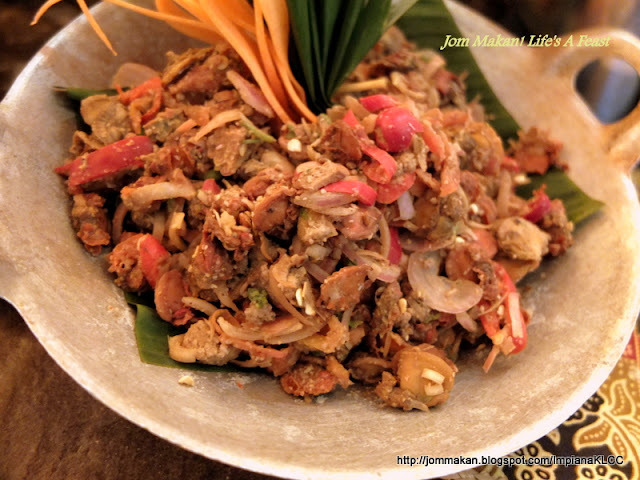 Spice fiends can enjoy their fill of curries and masak lemak dishes too. 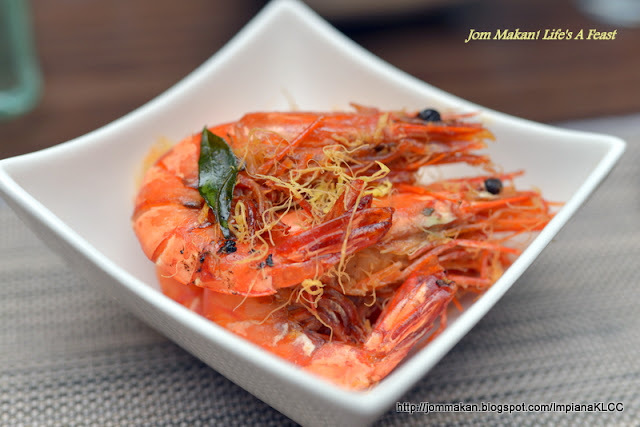 Notable picks will include Sambal Petai Sotong, Ketam Masak Lemak and Asam Pedas Oxtail; bursting with deep-seated and robust spice nuances, they bear ample testaments to Malaysia's traditional food heritage. I'm also partial to the dizzying array of Ulam and Kerabu selection - unbeatable choices to whet the appetite before one tackles heavier mains. Try some Kerabu Glass Noodle and Spicy Kerabu Wing Beans before succumbing to piping hot Bubur Lambuk and Nasi Briyani with Roast Lamb. Some hawker's fare such as Assorted Fritters, Roti John, Murtabak, Ikan Bakar and Satay also make their comeback by popular demand. In addition, contemporary offerings: Roast Snapper with Chive Cream Sauce, Roast Beef Carvery and Hot Pot Selection lend the buffet an international feel. For the sweet-toothed, The Westin KL chefs has pulled out the stops for their staggering dessert showcase. 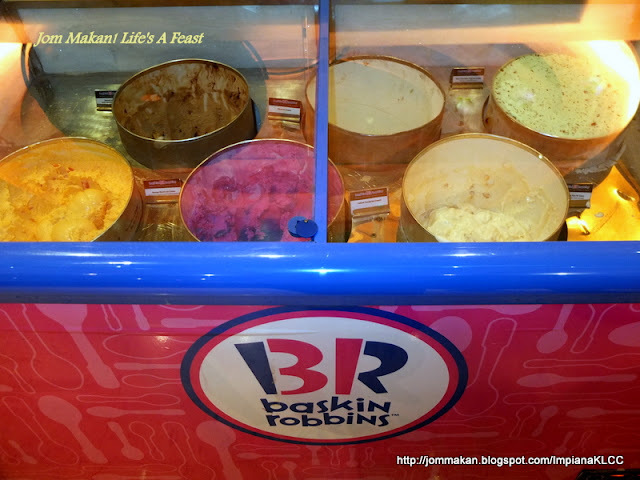 The wonderland of fruits, cakes, ice cream (fried ice cream served on request), puddings, sweet broths, cookies, chocolate pralines and other confections is a sight to behold and wickedly delightful. You won't have enough tummy room to fit everything in so be selective and either surrender to your preferred morsels or aim for more inventive creations that catch the eye. Sticklers for tradition will like the plethora of Kuihs and old-school Bubur while modern palates may prefer the wide variety of frosted cakes and creamy puddings. 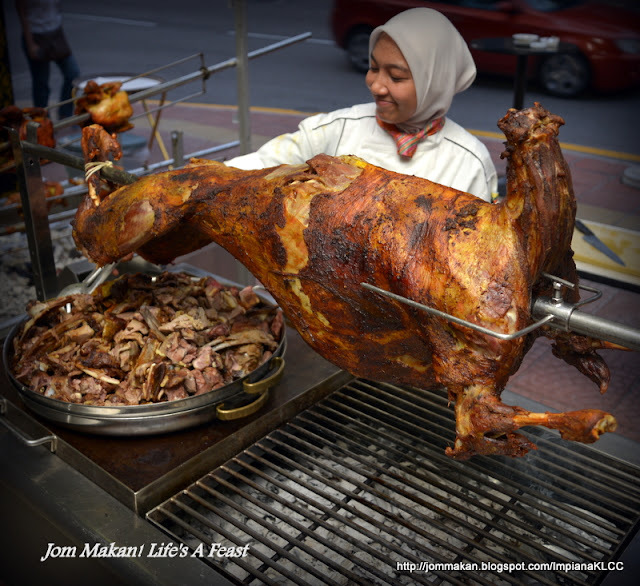 Applause should go to Malay Chef Abdul Hallim Sultan and Chef De Cuisine Boobalan Arumugam who are responsible for spearheading the culinary team, tasked with cooking up the Juadah Iftar feast. 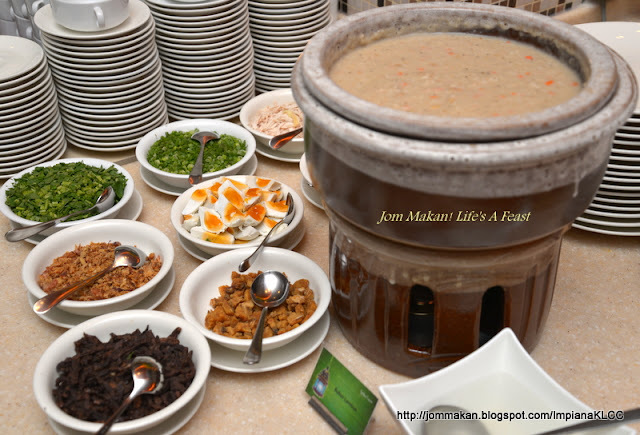 Priced at RM148 per adult and RM74 per child, the Juadah Iftar buffet will be available until 15 July 2015. For reservations, call The Living Room, tel:03-2773 8338. 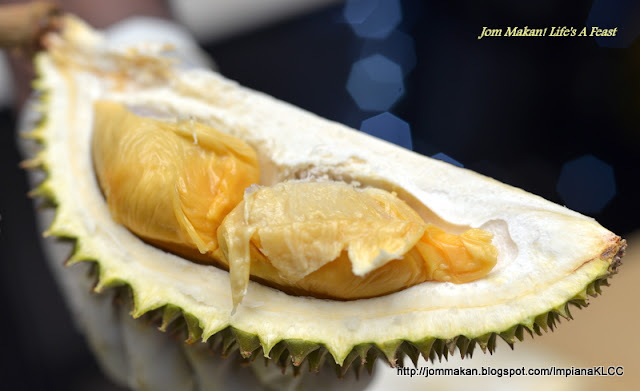 Durians – strictly forbidden in hotels – are surprisingly making their pungent presence felt at certain hotels for the breaking of fast buffet. 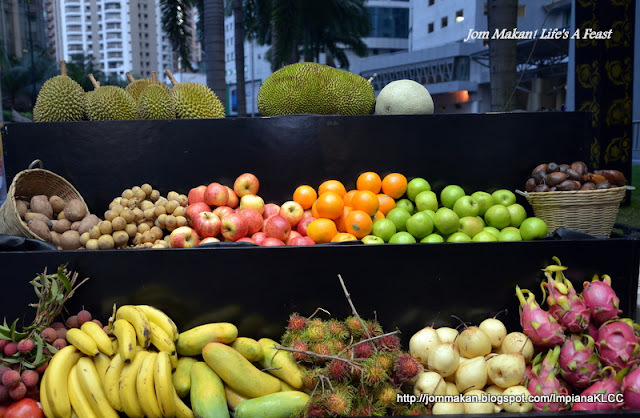 One of the pioneers is Tonka Bean Café at Impiana KLCC and the King of Fruits have proved popular with patrons. The only snag is you’d have to relish the fruits at the covered patio area, to prevent the strong odour from permeating the entire hotel. 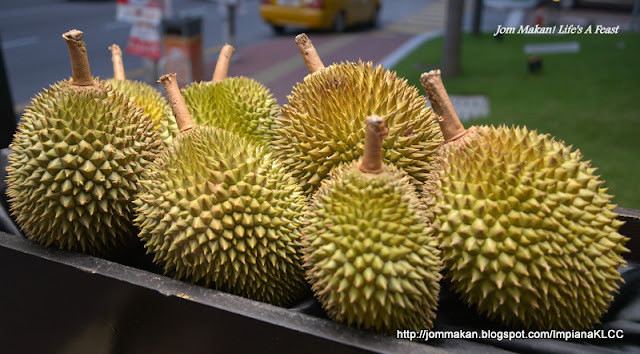 Besides durians, seasonal and local tropical fruits such as duku langsat, buah salak, dragonfruit (pitaya), lychees, mangoes, cikus and jackfruit are served. 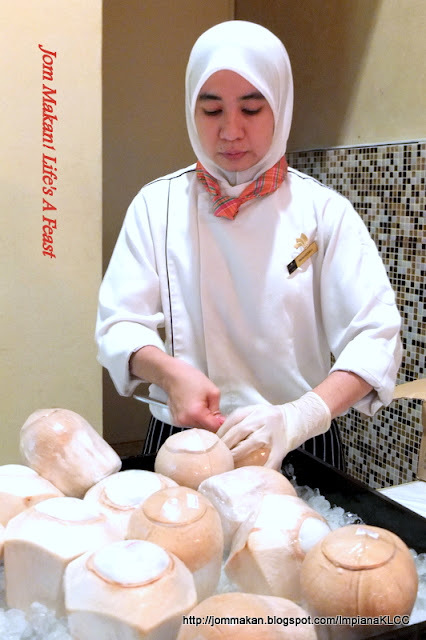 Available throughout the fasting month from 18 June until 17 July 2015, Tonka Bean’s bazaar concept dinner beckons with over 300 traditional dishes from different regions in Malaysia. 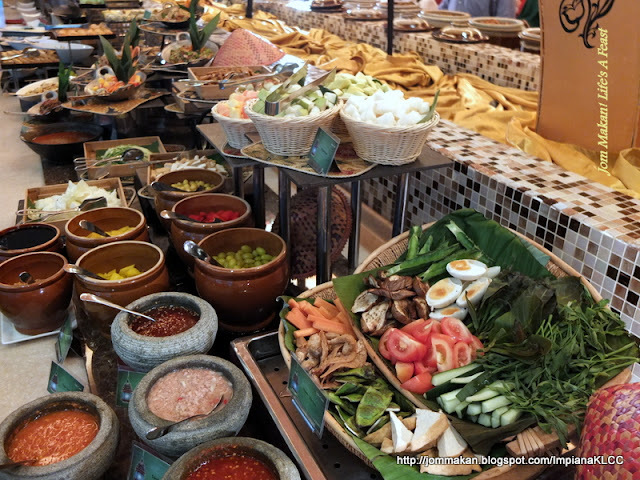 The buffet's appeal is further boosted by complimentary Zam Zam water (one glass per diner), and unlimited servings of Baskin Robbins ice cream in several flavours. Adding to the pot-pourri is whole roast lamb with spice-scented briyani rice. Roast beef carving, whole roast chicken and 'gear box' soup also make a comeback by popular demand. Since one can only eat so much despite the lavish spread, it pays to be selective with food choices. Some savoury bubur lambuk helps to pave the way to break the day-long fast as the soft, liquidy texture is easy on the tummy. Local salads such as kerabu and ulam are always ideal, to help fill the essential quota of greens one should partake daily. Delicate slices of cured salmon and unctuous crab meat soup are noteworthy considerations too. 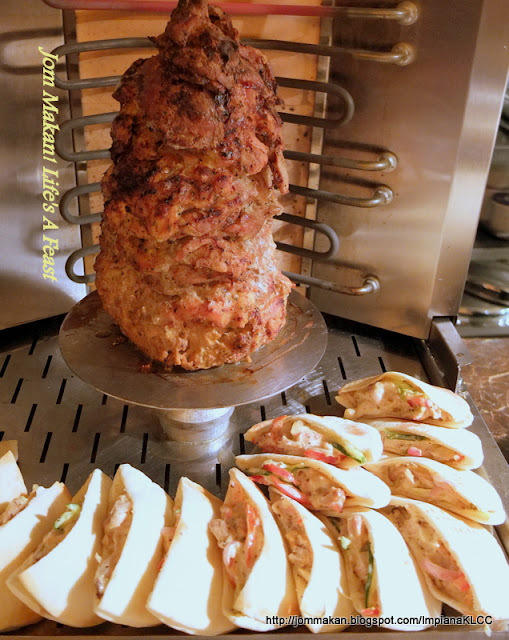 Apart from the ubiquitous Chinese and Indian specialities laid out (think stir-fried beef, buttered prawns and roti canai, some Middle Eastern items such as stuffed pita pockets with grilled chicken can be sampled. Beat the current sweltering weather and all that heaty food with some fresh coconut juice. 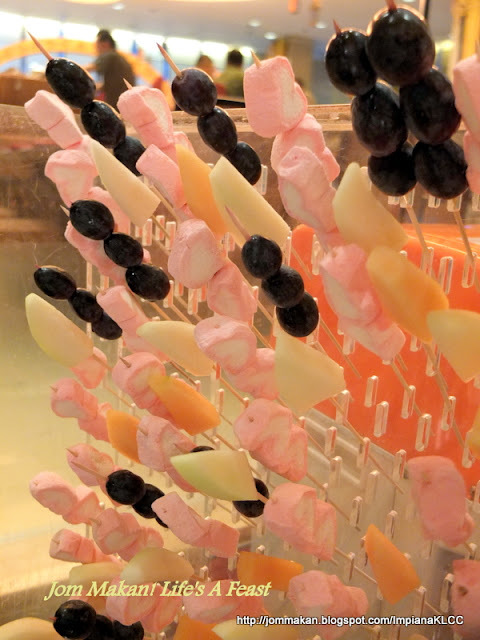 Some traditional biscuits: batang buruk, dodol and kuih bahulu or perhaps skewers of fresh fruits and marshmallows dipped in chocolate would ensure a befitting end to dinner. The Iftar Ramadhan buffet is priced at RM148 per person but diners will enjoy a special price of RM128 per person on the last 3 days of Ramadhan. 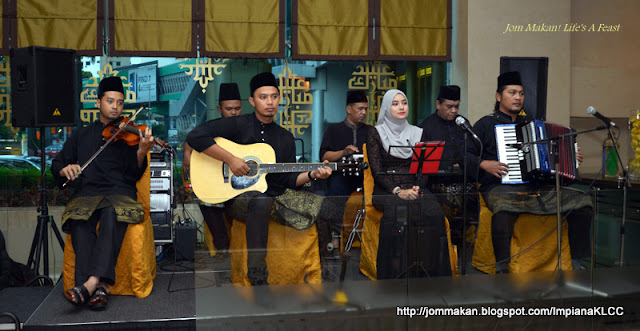 Melodious renditions by a seven-piece ghazal band will also entertain throughout the dinner period. 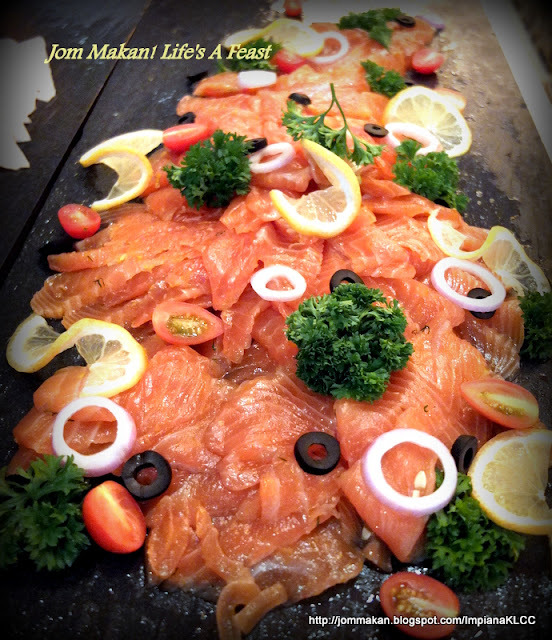 For reservations, please call Tonka Bean Café, IMPIANA KLCC, tel: 03-2147 1111 extension 3034, 3035 or 3320.